In the Dark Kingdom, Mio and Mamoru have both sensed Sailor Moon using the power of the Imperium Silver Crystal. Mio tells Mamoru that she may destroy the world and even if he goes to her, she could harm him as well. Mio then points out a painting on the wall which surprises Mamoru as he didn't notice it there before. Elsewhere, Queen Beryl has summoned Jadeite to her and has asked him to place a magical rock within Mamoru's body. Jadeite accepts her mission and begins walking to Mamoru's room. In the pocket dimension, Kunzite is sword training when Zoicite approaches him. They discuss how Jadeite is still working for Queen Beryl. Kunzite says that it's because Jadeite is so passive and enjoys being under Queen Beryl's control. Meanwhile, Usagi has decided to visit Naru in the hospital. Naru acts a bit strange at first, still completely unsure of what to make of Usagi being Sailor Moon. Usagi apologises for causing her all this trouble. Naru asks her why she didn't tell her about all this but Usagi tells her it as a secret between all of them so she couldn't tell her. Naru thinks for a moment and then brightens up and tells Usagi that because she knows now Usagi can tell her all about it. Usagi tells her about her past life and how she may destroy the world, but Naru tells her that she's sure Usagi will do the right thing and succeed in her mission. Usagi is surprised but also extremely happy to hear this. In Crown Karaoke, the girls are discussing Metallia's growing power. Usagi decides to double her efforts in resisting the use of the crystal's powers which boost Queen Metallia each time it's used and heads home to take a long... long bath. Luna gets worried after a while and enters to find Usagi on the verge of passing out in the tub. Suddenly, Shingo enters and sees Luna, the walking, talking cat on the bathtub. Shingo stands there completely in shock and only moves when Luna decides to transform into her human form and introduces herself as Usagi's friend. She eventually gives up though and runs up the stairs with a humorous warning to Shingo that she'll punish him should he do anything. In the Dark Kingdom, Jadeite is getting closer to Mamoru. Suddenly Zoicite begins to play his piano and triggers a memory in Jadeite of his past of him and Mamoru being happy together with the other generals. Queen Beryl, sensing this knocks Zoicite out with her magic. Jadeite, regaining his composure continues to Mamoru's room and places the rock right in his chest. The next day, Usagi goes to Crown to build up her resistance even more by turning the air conditioner all the way up and eating really spicy food made by Makoto. Eventually she takes a break and heads to the hospital to visit Naru with Luna and Ami. When they get there though they find that everyone's energy, including Naru's has been drained! Luna senses a Youma outside so they go out and transform into Sailor Moon, Sailor Luna and Sailor Mercury. Unfortunately the Youma is the super strong one from before and puts up a very good fight. 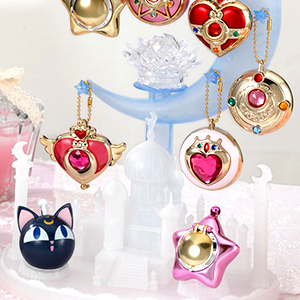 Suddenly Sailor Moon's chest begins to glow as the power within her begins to power up. Sailor Moon tries to resist it but starts to struggle. Luckily, Mamoru appears and tells her to fight it. She does so and returns to normal. Mio then appears and asks Mamoru is he will risk his life for the princess. Queen Beryl, thinking along the same lines activates the rock in his chest with her magic which drains some of Mamorus energy, causing him a lot of pain. Mio explains that every time Mamoru thinks of Usagi the rock will take his energy. Mamoru then tells Usagi to keep fighting and returns with Mio to the Dark Kingdom. The Youma then blasts Moon, Luna and Mercury. Sailor Moon, distraught over what has happened to Mamoru instantly transforms into Princess Sailor Moon. Interestingly though she transforms her sword into the harp and uses it to heal the planet and Mercury's arm which had been injured in the fight. 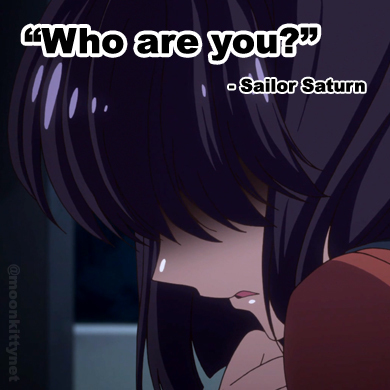 She then attacks the Youma with her energy blast but Usagi screams for her to stop and the blast backfires and knocks her off her feet and turns her back into regular Sailor Moon. Sailor Moon then suggests to attack the Youma all at once. Sailor Moon uses Moon Twilight Flash, Sailor Luna uses Luna Sucre Candy and Sailor Mercury uses a brand new attack, Mercury Aqua Storm. Together the blast knocks the Youma back but just scares him away. In the Dark Kingdom, Mamoru is grabbing his chest in pain. Sailor Mercury used a new attack in this episode, Mercury Aqua Storm which looks a lot like her previous attacks though a bit faster and more powerful. Princess Sailor Moon used her harp to heal not only the planet but Sailor Mercury's arm as well. Read about it here.